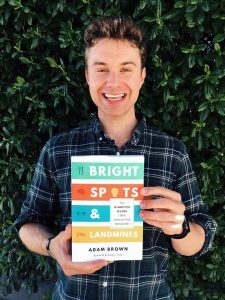 It’s very rare that new diabetes books are published that have the same focus on health, exercise, and nutrition that we have here on Diabetes Strong, so I was super excited to read Adam Brown’s new book Bright Spots & Landmines: The Diabetes Guide I Wish Someone Had Handed Me. Adam is a senior editor at diaTribe and has lived with diabetes since 2001. His full-time job is to follow the diabetes field (especially new devices and research), write about the latest news, and test things in his own life. His book, Bright Spots & Landmines, came out on May 9 and has been very well received by the diabetes community. 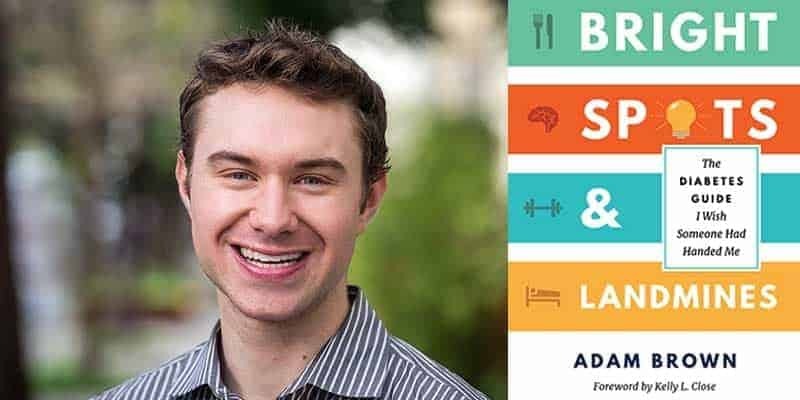 I have read the book and loved it, so I wanted to let Adam introduce the book here on Diabetes Strong, tell us what it’s about and why you should get it! Can you explain the concept of “Bright Spots” and “Landmines”? “Bright Spots” and “Landmines” is the book’s core framework, and it reflects the crossroads we all face every day: choice. What should I focus on? – What’s going well in my diabetes that I should keep doing? – What happens on my best diabetes days? – What puts me in a positive frame of mind? And most importantly, how can I do more of these things each day? It’s important to note that this is not an intuitive way of thinking, but is very powerful and uplifting. Conversely, the point of “Diabetes Landmines” is to uncover what doesn’t work and find ways to do those things less often. – What decisions do I make repeatedly that explode into out-of-range blood glucose values over 200 mg/dl or less than 70 mg/dl? – What happens on my most challenging days with diabetes? – What choices do I always regret? What repeatedly brings on negative feelings? – How can I do fewer of these things each day? 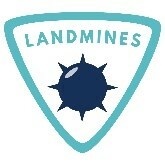 Clarifying these Landmines up front helps develop a plan of attack: What safeguards can I set up to avoid them? Most of what we do in diabetes is focus on problems and the things going wrong (Landmines). This has some value, but it can also lead to plenty of negative self-blame, frustration, and finger-wagging advice from others. I argue in this book that finding Bright Spots and replicating them is where we should focus our efforts! Can you give examples of Bright Spots and Landmines from the book? – Eat less than 30 grams of carbohydrates at one time. – Remember why an in-range blood sugar benefits me TODAY: better mood, relationships, energy to do things that make me happy. – Walk after I eat and to correct high BGs. – Get at least seven hours of sleep for better next-day BGs, less insulin, better mood, and more energy. – Hypoglycemia binge: overeating to correct a low, only to go high afterwards. Each Bright Spot & Landmine includes a “What Helps Me” section that details exactly how I increase or avoid it. In total, there are 43 Bright Spots and 16 Landmines in the book (a very intentional ratio). How can people use Bright Spots & Landmines to improve their diabetes management? My main goal in writing this book was to make it highly actionable; meaning anyone with diabetes can pick it up and immediately improve some aspect of his or her life: more time in an ideal blood glucose range, less time managing diabetes, less stress and guilt, better relationships and energy, and a happier mental state. Learn some new, useful diabetes tips related to food, mindset, exercise, and sleep. Everything in Bright Spots & Landmines has made a positive difference in my life with diabetes, and most things include a small step that can be taken today. Learn what works for you. Each chapter includes a series of guided questions to help readers find their own Bright Spots & Landmines. People read Diabetes Strong for diabetes, nutrition, and exercise advice. 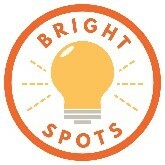 What can Bright Spots & Landmines offer them? The food chapter shares exactly what I eat to keep blood sugar in range, plus strategies to navigate restaurants, shopping, and challenging foods. Everything is based on wearing continuous glucose monitoring for 50,000+ hours, studying nutrition, and learning from many others with diabetes. Ironically – and painfully – some of the most effective advice is the opposite of what I was told at diagnosis. The exercise chapter tackles three important topics: how I keep blood sugar in range during and after exercise; how to make exercise enjoyable; and how to fit activity into a busy life. Interestingly, many readers without diabetes have found these two chapters especially helpful – there are tactics and strategies in here for everyone, diabetes or not. If people only take one thing away from reading your book, what do you hope it will be? Even after many years of living with diabetes and writing about it professionally, I still have frustrating days when things don’t go as I expect. It’s a battle to do my best 24/7, but not let diabetes take over my life. I still catch myself dwelling on this morning’s mistakes, or wishing I had made a different decision at dinner, or worrying about going to sleep. The default attitude is usually negative, anxious, and self-blaming. My fondest wish is that people with diabetes take the framework from this book and apply it to their lives, putting a major emphasis on Bright Spots: What’s working well in my diabetes? What behaviors and choices help keep my blood sugar in range or have a positive mental impact? What happens on my best days? How can I build routines and habits to experience more Bright Spots every day? I actually got “Bright Spots” stickers and magnets made recently, which serve as a visual reminder for me throughout the day (e.g., laptop, fridge, etc.). If you’d like one, let me know. How can people get their hands on Bright Spots & Landmines? Download a PDF here – it’s a “name your own price model” (FREE included), and 100% of any optional donation benefits The diaTribe Foundation, a 501(c)(3) non-profit. The PDF is gorgeous and reads really well on the computer or a tablet. Get it on Kindle for $1.99 (can be read within the Kindle app on any device). If you’ve already read Bright Spots & Landmines, I’d love to hear what you think in a one-sentence Amazon review – it only takes a few minutes and would help us so much! Adam Brown is a Senior Editor at diaTribe and Head of Diabetes Technology & Digital Health at Close Concerns. He writes an acclaimed column for diaTribe, Adam’s Corner, which has brought useful diabetes tips to over 600,000 people since 2013. He is passionate about exercise, nutrition, psychology, and wellness, and spends his free time cycling and hiking in San Francisco. Previous Post: « Diabetes Management – Do You Follow All the Rules?